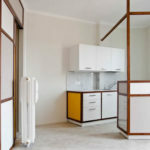 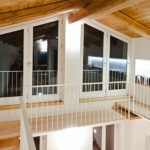 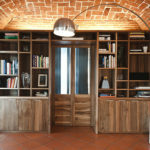 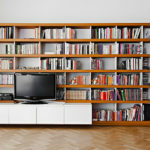 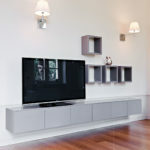 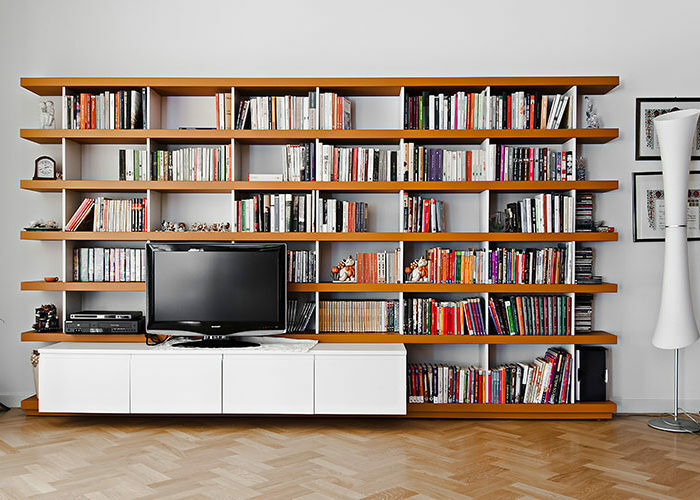 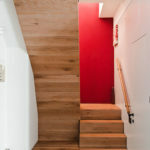 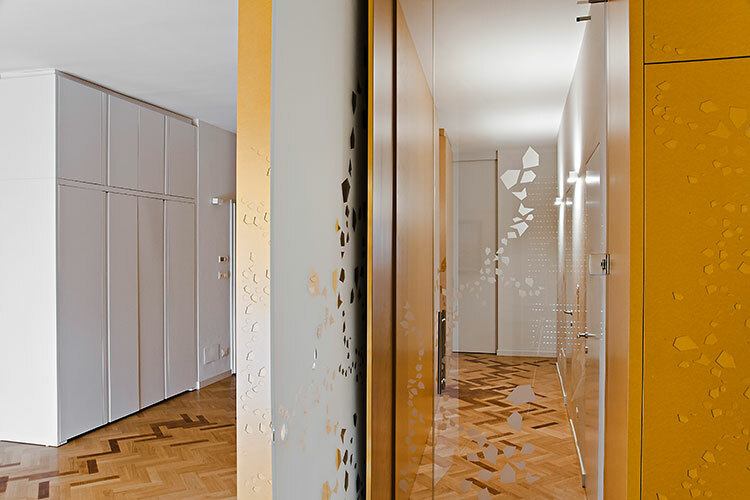 The space of this refined apartment in Turin is redesigned by partitions for a very effective impact. 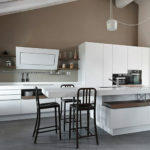 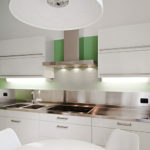 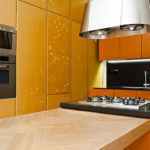 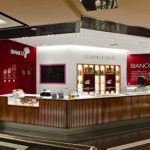 The walls and the cabinets alternate with masonry; along with the kitchen, they become design complements in material colored MDF: this is an innovative water-resistant and pantographed material, with a dynamic visual impact. 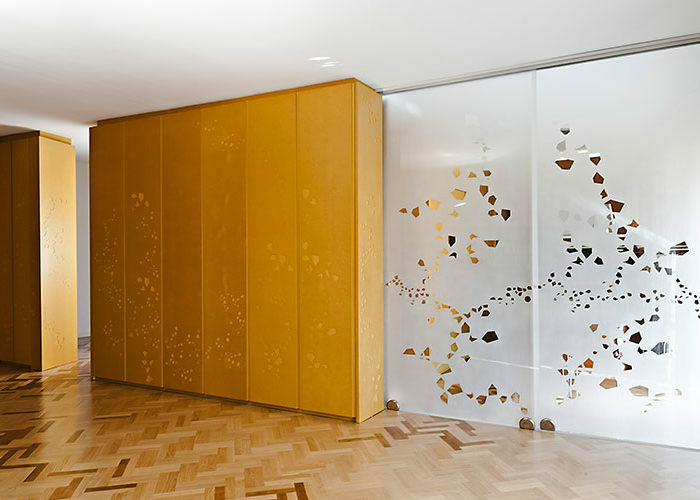 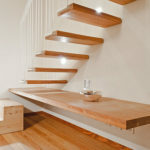 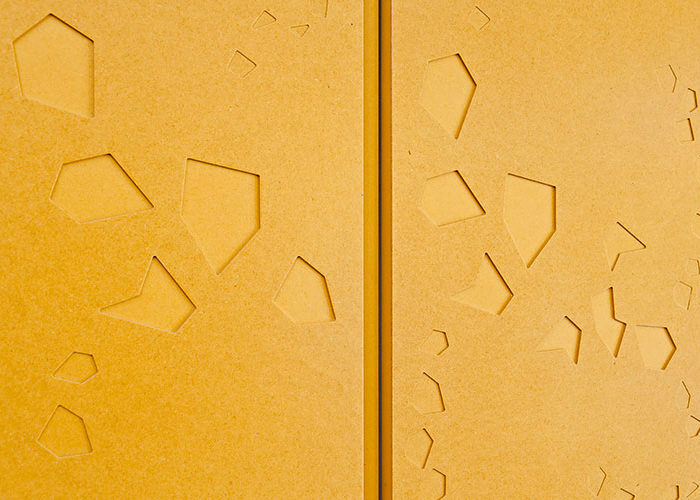 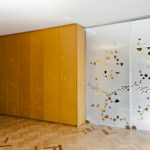 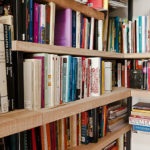 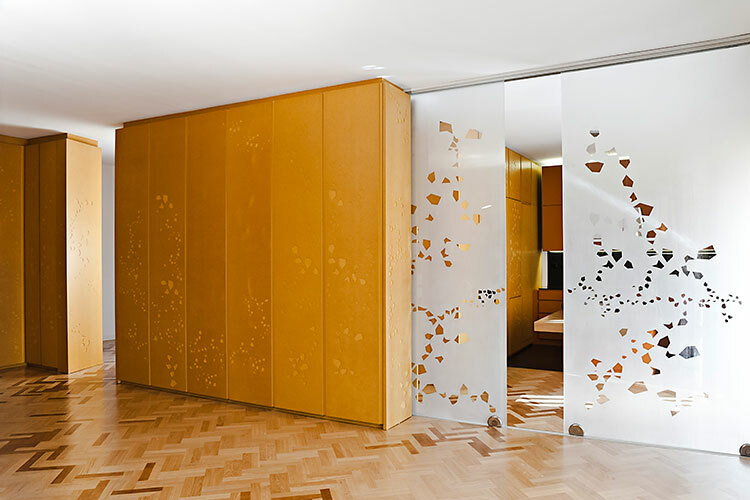 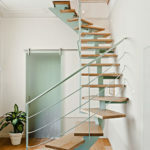 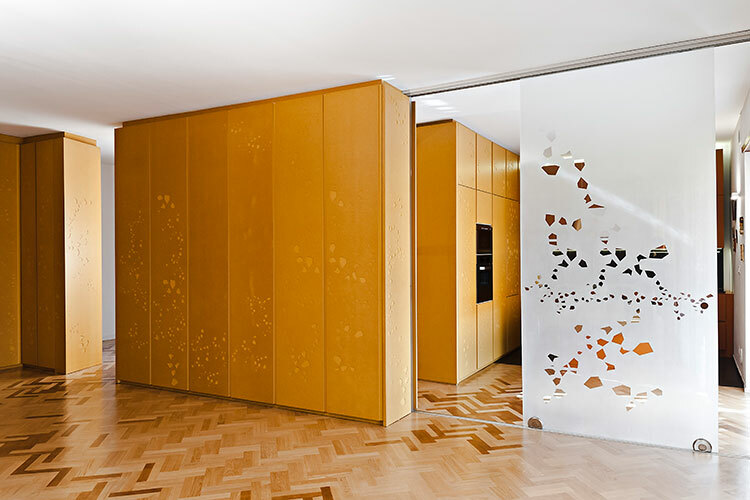 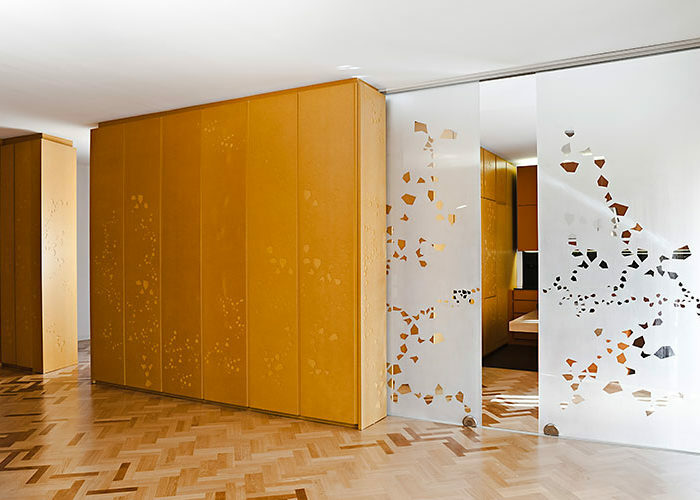 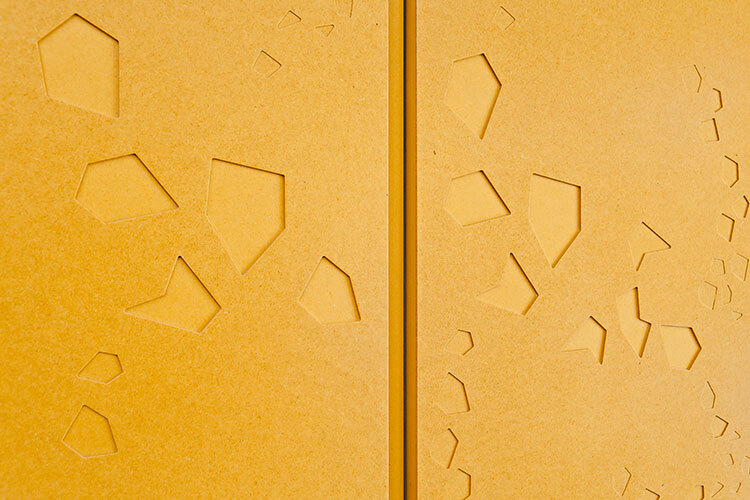 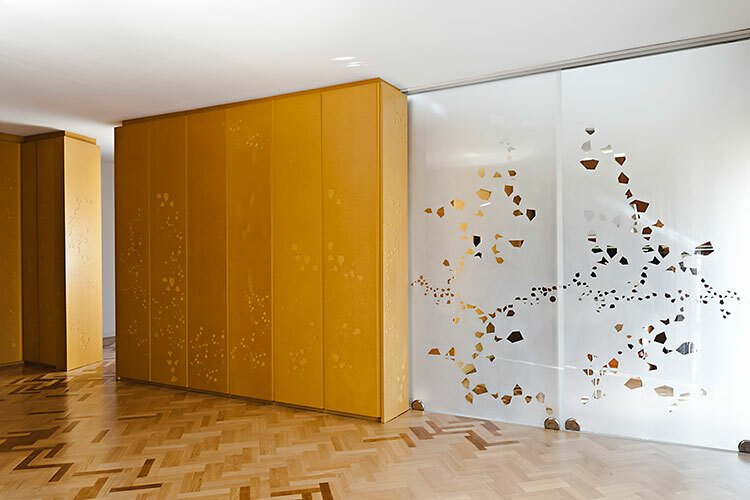 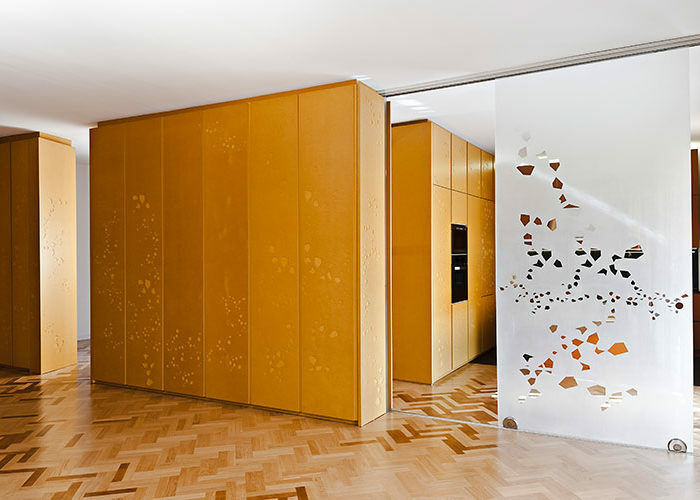 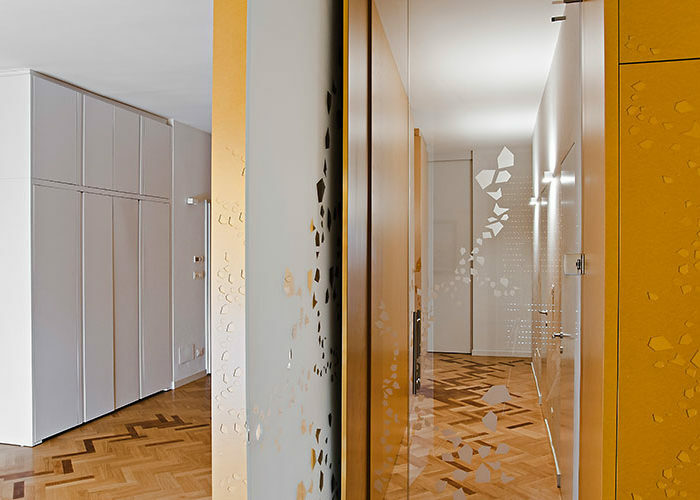 The MDF leaves pattern can be also found on the glass with positive/negative visual effects, the yellow chromatic reference and the presence of the original parquet connect the different spaces. 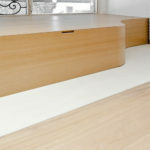 The rollaway workstation keep the space neat and avoid loosing footage.